You need to understand that excessive sun can be the skin’s worst enemy. Therefore it is essential that you adopt following guidelines into your daily routine to protect your skin from the harmful radiation of the sun. Avoid excessive exposure to the sun between the hours of 10.00 AM to 3.00 PM. When the radiation of the sun is intense. When you are in the Sun, wear protecting clothes, such as hats, long sleeves and use sunscreen. Never to use tanning beds as they are increasing source of skin damage and ageing. Use a sunscreen on exposed areas of your skin everyday. When choosing one, select that protects you from both kinds of UV radiation-UVA & UVB. Use sunscreen that has Sun Protection Factor(SPF) of 15 or greater. An SPF of 15 means that you can stay in the Sun 15 times longer than you normally could before your skin begins to burn. Apply the sunscreen liberally and half an hour before you go out in the Sun so that the sunscreen is well absorbed into your skin. You might have to try several before you find one that does not cause any skin reaction. But above all, you need to remember that the best protection against skin cancer and other damage is to avoid the Sun. You must read about the UV radiations. Intensity is similar from season to season. Intensity is similar for all geographical areas between the two poles. Penetrates the epidermis deep into the dermis. Frequently indicated to be safe but is not. Intensity is reduced in winter months. Intensity increases close to equator. Does not penetrate glass and plastic. Largely absorbed by the ozone layer. Very dangerous if it penetrates the ozone layer in large amounts. Source: Look younger at any age by Dr. Don Groot and Patricia Johnston. The sun emits three form of radiation infrared, visible and ultraviolet. Infra red and visible light are valuable because they provide warmth and the ability to see. Ultraviolet rays can be harmful depending on their wave-lenght:- UVA (longest),UVB (middle length) and UVC (shortest). Each one them penetrates the atmosphere and affects our health in different ways. UVB Rays: These rays are absorbed into the epidermis and can cause skin cancer by altering the normally well-organized behavior of cells. By breaking down the collagen and elastin building blocks they can create , by further causingwrinkles, clumping up the protein, weakening the walls of small blood vessels and spider veins, etc. UVA Rays: These rays can be as harmful as UVB rays. UVA is absorbed into the epidermis and pass through the dermis. They remain in high intensity all day long and not just peak hours of 10 a.m. to 2 p.m. unlike the UVB rays. UVB and UVA rays can both damage the protecting covering of eyes known as Cornea. The resulting damage to the lens and the retina may cause cataract and visual acuityproblems. The sun also affects the immune system UVB and particularly the UVA rays can damage the langerhans cells, which are important component of immune system within the skin. UV rays can damage the WBC (White Blood Cells) as well, rendering them important in face of the enemy. In addition damage to the langerhans cells and WBC can reduce the effectiveness of the immune system leading to vulnerability of the skin to viruses and other diseases. UVC Rays: These rays are absorbed in the ozone layer and if small amounts of these rays succeed in passing through, they are absorbed in the epidermis of the skin. Sunscreens are available in the market in the form of creams, gels, lotions, sprays and ointments. They contain various agents which have been proven to protect the skin against the rays of the sun. Para-amino-benzoic acid or PABA, PABA esters (glycerol, padimate A, padimate O, or octyl dimenthyl PABA) and cinnamates are agents which are effective in protecting the skin against UVB rays. Benzophenones (oxybenzone, methoxybenzone and sulfisobenzone) and Parsol are effective in protecting against UVA rays. To totally protect your skin, select a sunscreen with a combination of two of these agents, one of UVA rays and one of UVB. Take the help of a dermatologist to chose a product that suits your skin type. Also, at the same time pass a test on hand before applying it on the face. Does it protect my skin or do I have signs of sun exposure? Is it too occlusive and sticky? 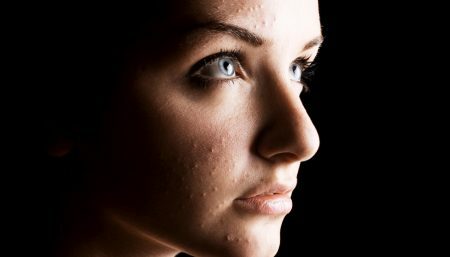 Do I break on pimples when I use it? Do I break out a rash? If you have a dry skin avoid using tretinoin (Retin-A, Stieva-A, Retisol-A, Refuva-A, Renova, Vit A Acid) which tends to dry the skin, a cream base can be a better choice e.g. Ombrella 15 or Photoplex). Retisol-A is particularly good because it combines a broad-base sunscreen with tretinoin and a moisturizer in a single cream. Thus , the need of sunscreen varies with the skin type, your daily activities, geographical locations and climatic condition. As UV rays are reflected from sand, sun, water, snow and ice. The frequency of application of a sunscreen, too will vary with your activities. If you work out-of doors, whether in winter or summer, several applications of high SPF sunscreens throughout the day will be required. Be diligent about their application. Apply them regularly and in adequate amounts. Thinly applied sunscreens markedly decrease the sun protection factor. Apply sunscreen on your children regularly as well, to the exposed areas of their body. Cleanse the skin, before application (sunscreen). Apply sunscreen (min 15 SPF) to areas of body which will be exposed to the sun. Reapply the sunscreen if needed throughout the day depending on the amount of sun exposure and your rate of perspiration. The sunscreen needs a cool dry surface to bind to the top layer of the skin. There is a possibility that you might get a heat or sweat rash from the sunscreen if applied when the skin is hot because the sweet pores are open. Apply a broad spectrum sunscreen with an SPF of 15, such as Ombrelle 15, daily to sun exposed areas of the skin. Apply the sunscreen about 30 minutes before sun exposure when the body is cool and dry so it will bind better to the skin. Reapply sunscreen throughout the day according to the amount of sun exposure you receive. If you are participating in sports which make you perspire, reapply sunscreen every hour. Protect the sun exposed areas of the body all year round. Apply adequate amounts of sunscreen, one ounce for one body for one application. If you are using adequate amounts of sunscreen, you should be purchasing it as regularly as you purchase toothpaste. High-risk areas for cancer such as the face and hands should receive an extra dose of sunscreen. 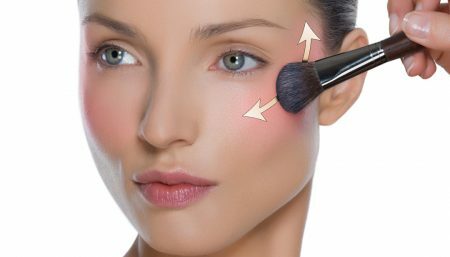 If you don’t mind the look of a total block, use zinc oxide or titanium dioxide on the particularly sensitive areas such as the nose and cheek bones. Be thorough in your application: sun exposed skin which is not covered will burn. If you are wearing loosely woven clothing, put sunscreens on underneath them. The sun also penetrates wet clothing easily. Wear waterproof or water-resistant sunscreens if you plan to be in the water. Waterproof sunscreens last for 1 1/2 hour and water resistant sunscreens for about 30 to 40 minutes. They should be re-applied to dry skin allowing a bonding period of 20 minutes before re-entering the water. Wear 100% UV-protected sunglasses that wrap around the eyes. Darker sunglasses do not necessarily filter out the UV rays unless they are specially coated. 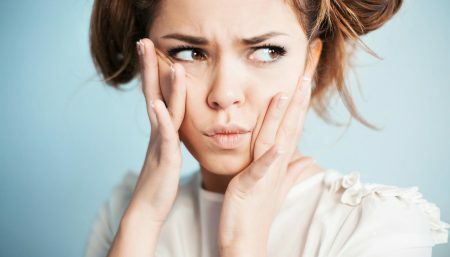 Skin Care Anti-wrinkle Creams: do they work?